SUELAS ASENCIO AZNAR fabrica suelas para calzado de señora, caballero y niña/o hechas en T.R.C., P.V.C., P.U., E.V.A., T.P.U. 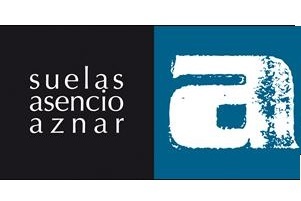 Suelas Asencio Aznar makes soles for shoes. Our target is develop the best product for the enterprises that trust in us. And then, they can create themselves designs over the best base, solid and durable.